Hey there heroes & SHIELD agents! 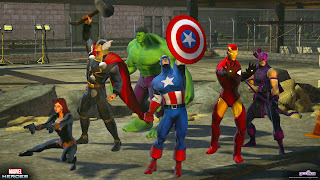 LOADS more Marvel Heroes updates as well as something new for the Marvel Avengers Alliance fans as well! MH fans do join my MH group here. Last week, Gazillion's Jeff Donais aka Doomsaw held an Ask Me Anything (AMA) on MMORPG.com (my question is on page 14 of that link - njferns) to answer questions asked by Marvel Heroes fans. Quite a lot was already revealed by him during the Charity Heroes event in October, but he still took time out (1 hour & 45 minutes to be precise) to answer some of the questions he was bombarded with. He ended by saying to expect another AMA by this week. 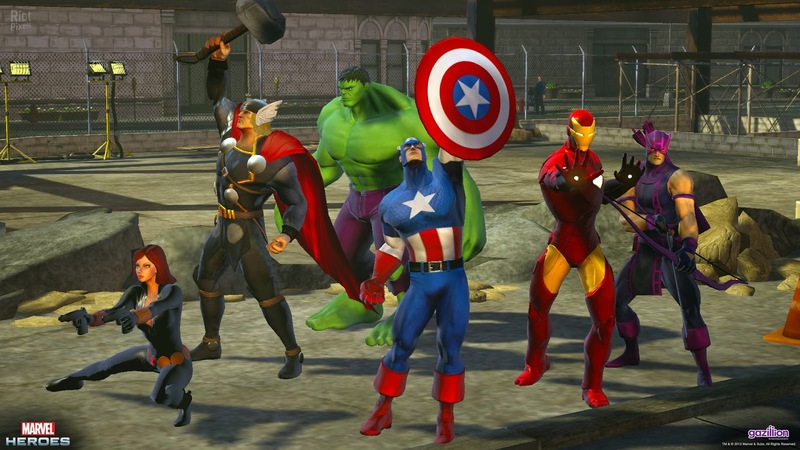 *Bonus weekend is currently going on in Marvel Heroes right up to December 2! Get a +50% boost on XP, Item Rarity & Special Item Find as a Thanksgiving reward! *Black Friday Sale is ALSO currently on till December 2! 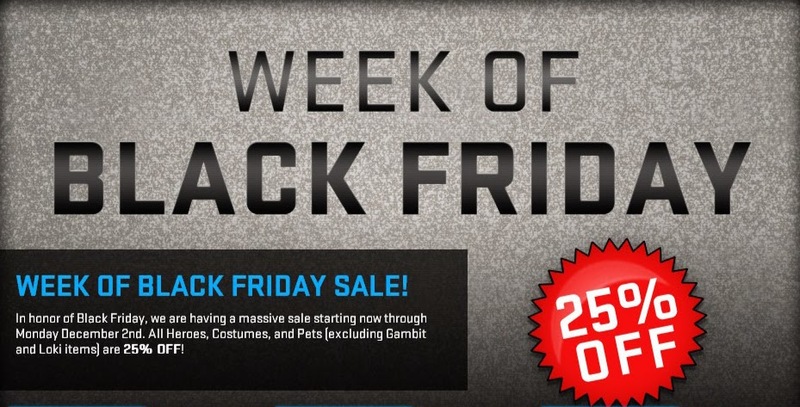 Almost every Hero, Costume, Pet & Bundle is 25% off! The only heroes & costumes not included are Gambit, Loki, their alternate costumes & bundles. This sale also includes almost all hero packs found at the webstore. Now onto the AMA updates. Please note that I've only included reveals that are absolute confirmations & not "maybes" (especially with regards to the new hero releases). 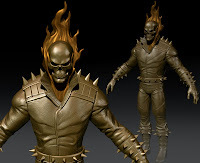 *Ghost Rider- The focus right now is on his movement power- determining whether to add acceleration, turning radius & other realistic physics to his bike or just make it smooth & “fun”. Also working on the modeling for his molten chains & his shotgun animations. 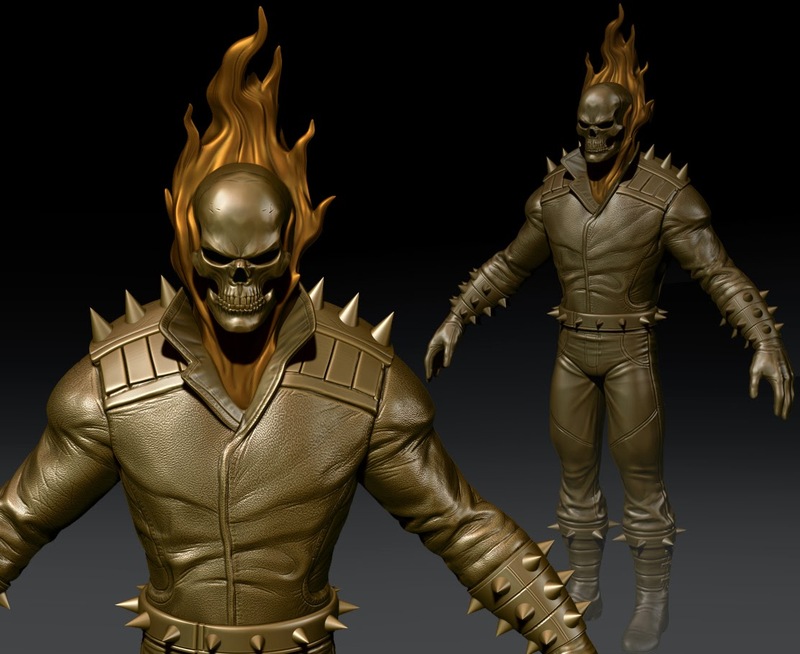 < This is an early Ghost Rider preview shared by Lead Character Designer, Tyler Fermelis, who informed that "he has chains around his chest, they are built in a different way so you don't see them here." *X-23 will become playable by the second half of 2014. 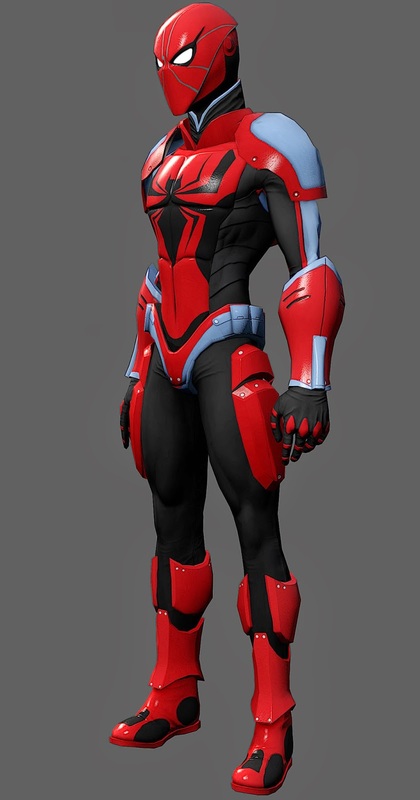 *A “Team Up” system is in the works that allows them to create heroes that may never have enough powers to be a full hero, but could make good sidekicks. 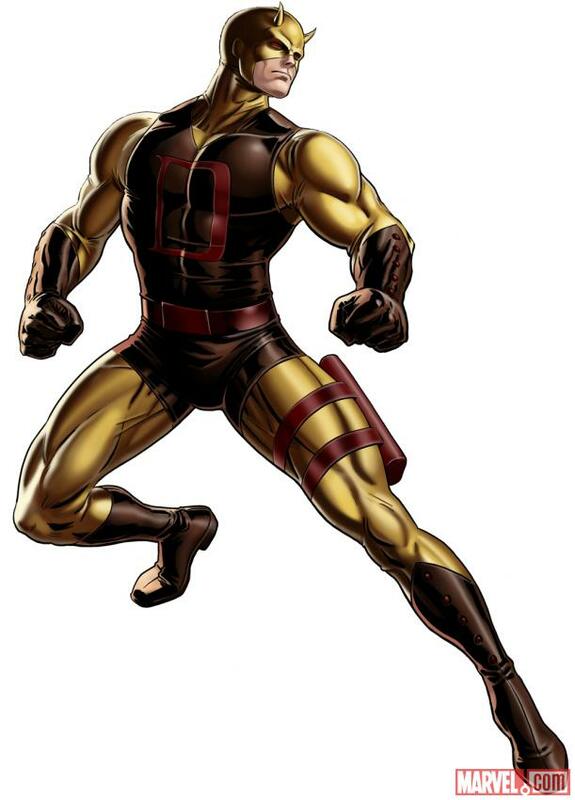 This would be a new hero type & could be leveled up in some way to fight alongside your favorite hero (or for people who don’t want to run around with a sidekick, just provide some passive benefit). *Design Reviews will happen for every hero & then once again in 6 months. *Captain America’s review will likely be January, but his killing power will be upgraded in mid December. *Scarlet Witch is on the list for some improvements in December (damage for most of her powers) with the design review in early 2014. *They will be adding the most-requested “synergy” feature- an increasing bonus to all your heroes for each hero you’ve maxed. *Considering a system that allows you to gain XP with a hero you are playing while you give a percentage of the XP to another hero on your roster, with an “Inspirational Mentor” type of flavor. *More functionality & advancement for Supergroups & individuals coming in early 2014. *They will upgrade the Supergroup system & then introduce rewards for guilds that accomplish things. Solo players won't feel left out either with every system added. *They have considered a method whereby you can match the level of a group member or go to an NPC to temporarily lower your level so as to not leave a group member behind or set aside a hero for long periods of time. This function may be implemented in some capacity in early 2014. *Few grouping improvements coming in the next two patches to make grouping easier & smoother. *They are also working on a design to allow players to share Legendary Quests in some way so you can run around complete your quest (giving your group member some bonus XP) & then finish the member's quest (sharing in the rewards to some degree). *They are working on an item trading interface to launch in early 2014. 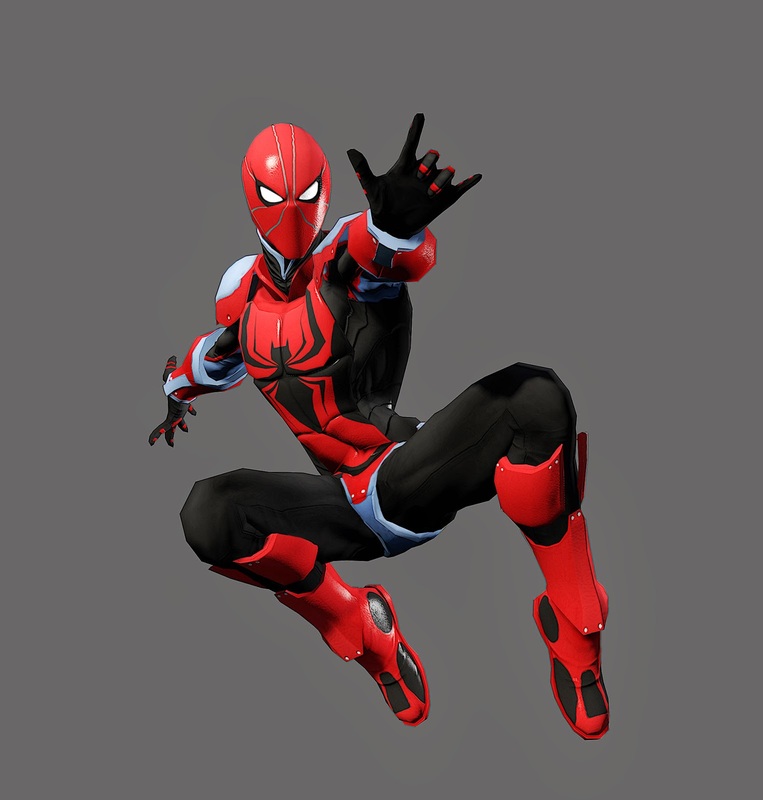 *Ends of the Earth Spider-Man will come in December. *They are working on 1-2 more Loki costumes but they won’t appear until at least January. Female Loki will be his next costume! *They are determining which costume to do for Gambit next but it may not be for awhile. They are considering a Valentine or his yellow costume. -Iterating & improving on the Fire and Ice Giant PVP mode. -A fight vs. Loki in the Asgard throne room. He will have a new medallion & several artifacts that drop from him. -First raid encounter with a yet-to-be-announced titanic enemy. He will have a lot of interactive mechanics & choices to make about how you defeat him along with an 10-hero raid party system that can be preformed or filled with a queue system. -A “Siege of Asgard” mode similar to Midtown + X-Defense that involves the main villain from Thor: The Dark World, Malekith. -Several new Asgard-related terminals, including a Kurse terminal that will be added in December. -A brand new competitive PVE mode set in the realm of the Dark Elves. *After Asgard, we have chapters coming of various types, from the Bronx Zoo to more cosmic & galactic areas. *Fisk Tower terminal will come in December with several more in the months after that. Terminals will also offer a bonus for players who want to clear the entire map although it will never be mandatory. *New enemies that are basically complete but don’t have their zones complete yet include: Lizard, Mr. Hyde, Malekith, Blizzard, Loki & several “henchmen” type guys that have yet to be added. 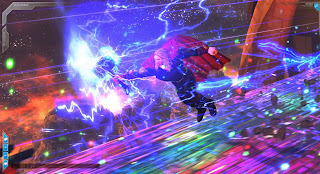 *Expect more events in the future similar to the Asgard unlocking event. They'll design them around the competitive aspect. *Raids will be 10 players. It will be extremely simple to turn your party into a raid party by just clicking a UI button. You can bring your own raid or fill in with people using the new queue system (which is currently in the final testing stages with X-Defense & the first PVP mode). *Raids will be challenging, but not incredibly long- similar to Onyxia or the final boss of any of the best WOW dungeons. A distinct encounter will include some minor warm-up encounters to get the raid working together & then quickly start the main event. *They won't be mandatory. Solo players will still have access to the best gear through alternate means. *They won't ever require any type of specific “classes” in raids. A group of 10 Spider-Man should be able to complete a raid as well as a group of 10 Gambits or Deadpools. *Multiple PVP modes are in various stages of design & will come after the Fire & Ice mode is fully tested. *Some of these other modes feel very similar to open world PVP, offering complex & involved maps or maps that borrow great ideas from their favorite games. *They won't add any kind of mandatory or involuntary PVP system. Just opt-in systems that are fun for the players who enjoy PVP. *Still deciding on the number of PVP item slots they want. It may end with the Rings. They want PVE gear to work fine in PVP & simply award PVP as rewards. *Teams, ladders, rankings & seasons once beta testing of the mode is complete. *The Mac version is well under way & will hopefully be released in one of the next few large patches. Spec Ops 14 is almost over, PVP Season 12 has 11 more days to go, but in a surprise move Playdom actually decided to release new content sooner than expected! Namely- Season 2's Chapter 3! With Chapter 3 expect new villains (Kingpin & Sin), new heroic battles (with some great dialogues like this one < between Ms. Marvel & Moonstone) AND more importantly- new rewards including Daredevil's original costume (Tactician & Scrapper classes) as the Chapter Mastery reward! So get cracking agents! So that's all for now. Here's wishing you Happy Holidays & remember- keep them heroic.